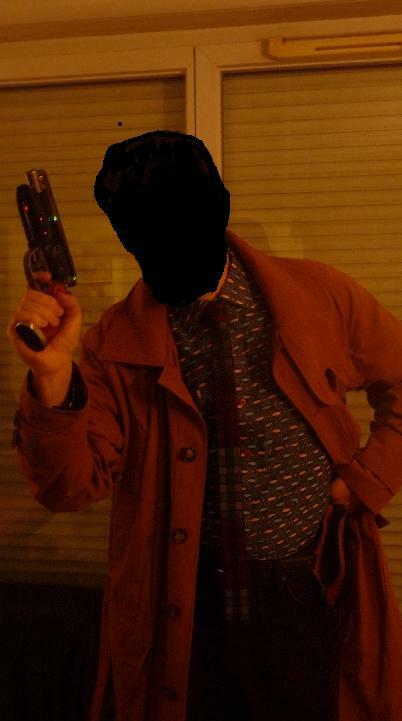 Propsummit.com a Blade Runner Prop Community Forum BladeRunnerProps.comView topic - Magnoli Deckard coat vs abbyshot V2 , what should i take ? Magnoli Deckard coat vs abbyshot V2 , what should i take ? 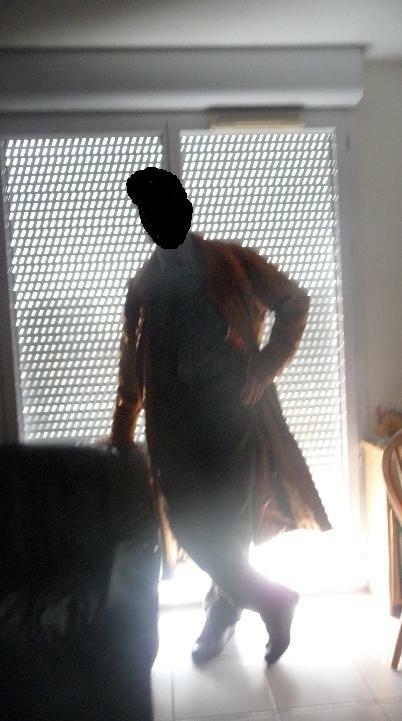 Posted: Fri Nov 05, 2010 10:24 am Post subject: Magnoli Deckard coat vs abbyshot V2 , what should i take ? I could need some input of you guys! 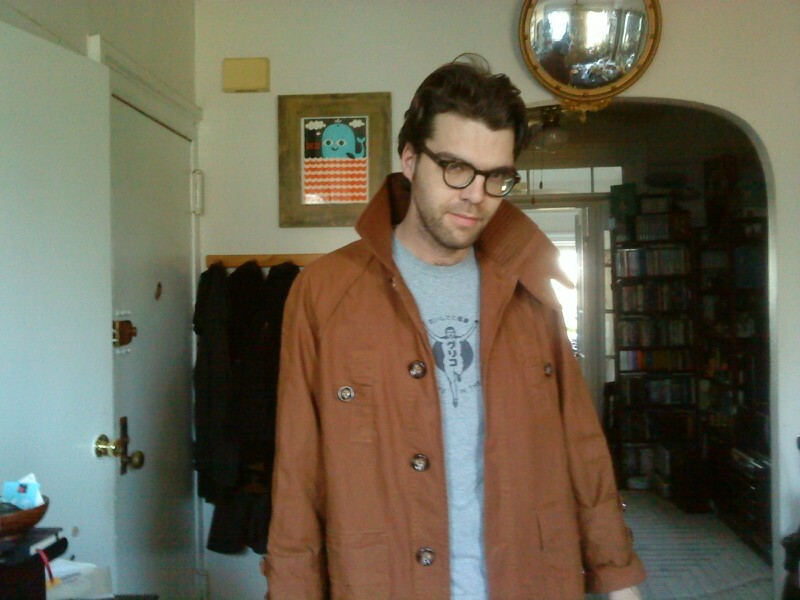 I need help to make the right choice between the V2 Abby and the Magnoli coat! I already haven´t found much about the Magnoli version and I´m not sure about it. well, they both have merits. I was the guy who originally commissioned the magnoli version and sent him tons of links and pics and notes and he got a TON right..
but he missed some stuff too. the collar is just too soft and the fabric on my version has the same problem. I have never seen an abbyshot in person but it has the right "look" I'd say. I just bought one of those cheap Chinese versions on ebay and was impressed with everything but the collar. the fabric is stiff and looks dark enough, and its got the bells and whistles. I even have my suspicions that its a magnoli knockoff however they made the mistake of knocking off the terrible collar as well. I own both the abbyshot v1 & v2. Overall the collar and color of the v2 are better than the v1, however I find that both coats run very long and the sleeves are a bit too long. The v2 is a well made garment but the decision to use a fabric that wrinkles more and gives more of a screen accurate look comes at the cost of substantially less water repulsion. Wear it in a typical San Francisco down pour and you will get soaked. This in my book limits its use as a functional raincoat. Their v1 coat used a different fabric which had outstanding water repulsion, but was too light in color and didn't wrinkle or crease. 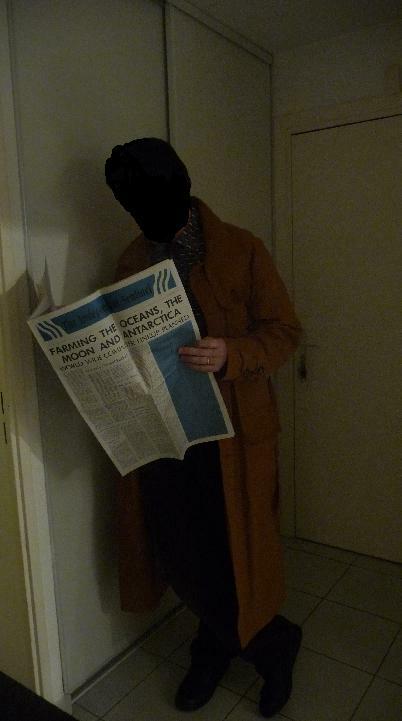 I can't speak to the merits of the magnoli trench but aside from the smaller collar, it looks like a good repro. Thanks a lot for you Infos ! I like the way it's soaking under the rain ! 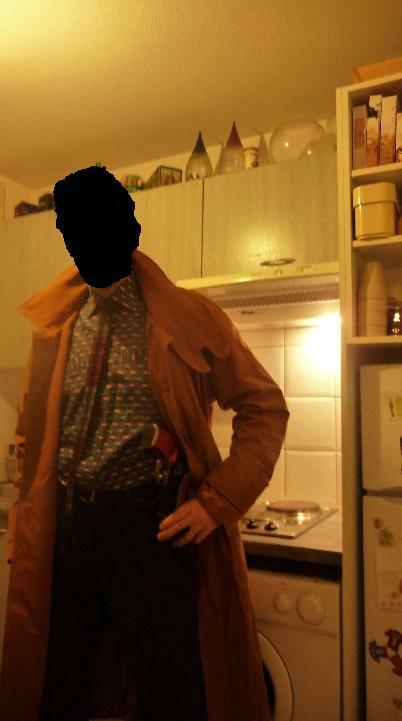 If i have to make a little "negative" comment, it would be about the collar and the length that influence on it's overall shape...I have compared a bunch of shots of Deckard wearing the trench and it's clarly seen that it's more rounded form. If i had to buy it again i will choose their custom option which is more expensive but would worth it imho ! !...to modify a bit of length and perhabs the sew too which should be shorter ! 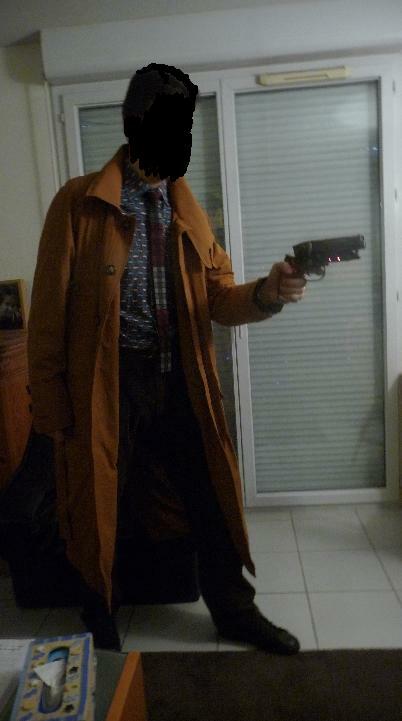 Now you would get the perfect Deckard's trench imo ! I can't speak about the Magnoli but the fabric and collar look a bit off for me...well, imho of course. I don't recall there being a custom size option on the v2 coat. Then again I did buy it when it first came out, that may have changed. Thanks for fotos to compare a little bit ! Always helps at hard desicions . 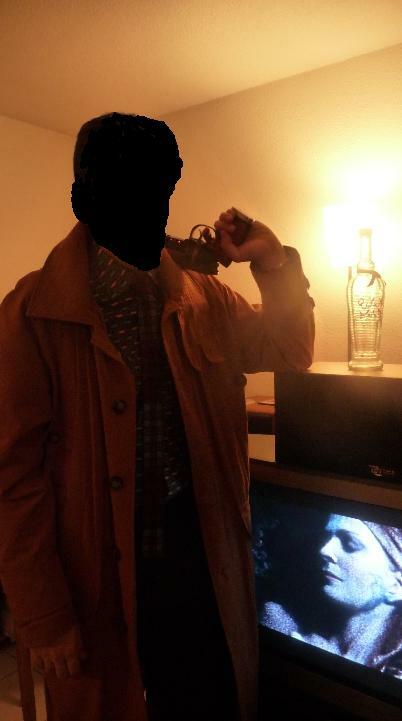 I picked up one of Abby Shot's V2 Deckard trench coats for Halloween and I must say that I love it. 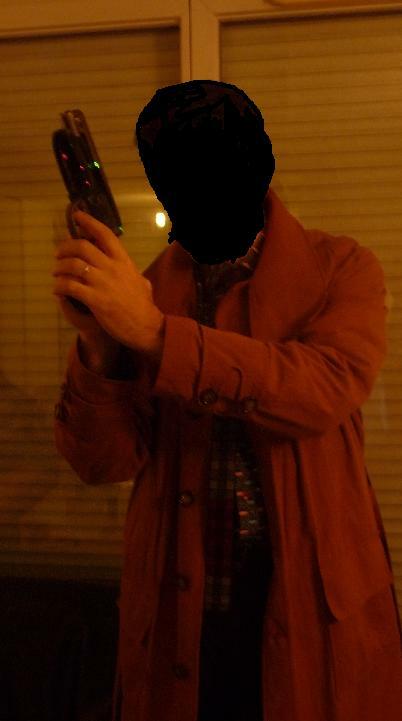 I really wanted a coat for Halloween, and they were able to get me one very quickly on fairly short notice. The folks up there at Abby Shot are great to deal with and very friendly. 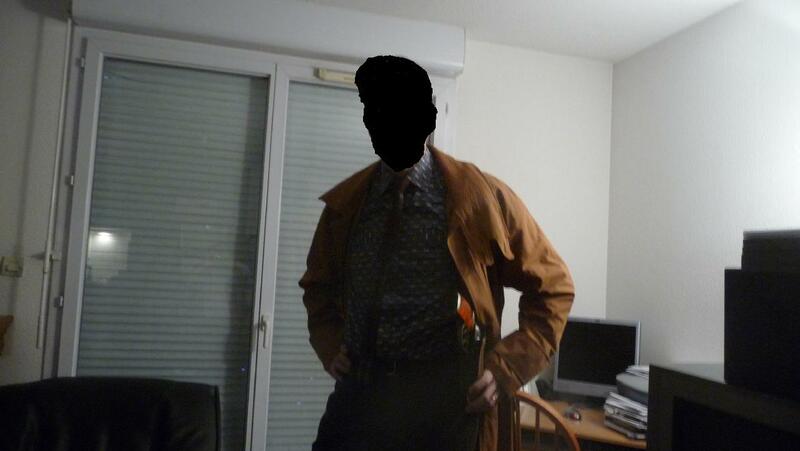 It's a very well made trench coat as far as I can tell and feels like a real coat, not just some fancy costume piece. I haven't yet worn it in the rain, so I have no opinion on that. 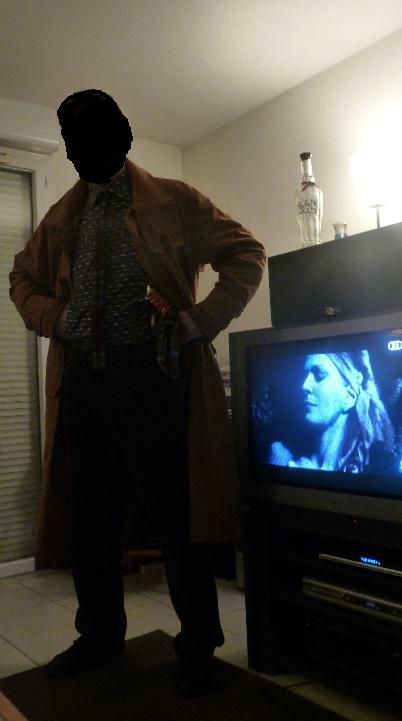 I picked up a size 40 and you can see how it fits me in the below pic from Halloween. Perhaps a bit long in the sleeves, but I'm not sure it isn't meant to be that way. For reference I'm exactly 72" tall. If I had one complaint it would be over the color. There's lots of photos and discussion over the Abby Shot coat and how the color shows different in various lighting conditions, etc. I think that's fine, but I personally feel the coat should be a little more dark brown and a little less orange, to show closer to the movie coat in general light settings (or even an overcast day). If it wasn't for the cost, I would probably be considering trying to dye mine slightly. 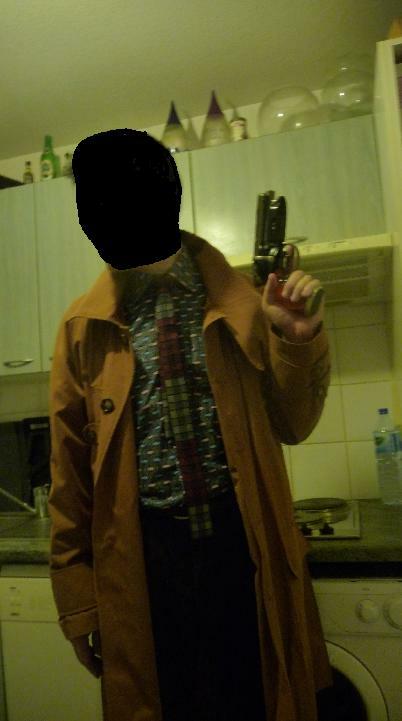 I do think the cost should be considered thoroughly when buying either of these coats; the Abby Shot is well made - About as well as any 200 to 300 dollar off the wrack trench. The custom costume premium aspect is understood, as you can't just walk into a JCPenny's and pick up a Deckard Trench, but had I paid half the price I probably wouldn't have given a second thought to the color (or maybe to dying it ). I've thought about giving it a dye job myself. My initial research suggests The dye might not take on the fabric. Might be worth dropping the folks at Abbyshot a line and asking them about dyeing it and what dye they recommend. I already bit the bullet and had mine shortened in both the length and sleeves. Haha - Thanks Joberg. At least here I know I won't get: "Who are you supposed to be?" I fight´n with myself to wait till dezember but i cant resist any longer i think ! Jeez, some good pics there guys. As propjonnyb said, you'll have to develop your own tricks (on various pieces/kinds of fabrics)on how to achieve a "used look" using sand-paper is also a trick of the trade, some are also using diluted Javex/water/salt mixture (careful not to peeve the GF while using rocks and stuff in her dryer or washing machine )...good luck.